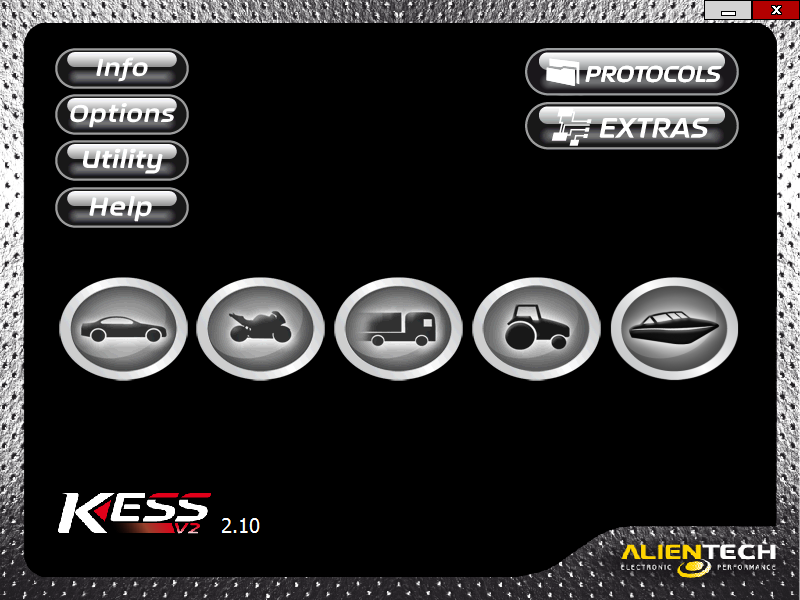 Lets take a look at the Alientech Kess V2 OBD flash tool. This tool I would class as the most popular tool on the market today for a few reasons. First of all I would say that it has probably the widest coverage of vehicles with its strengths in particular to older vehicles and Marques such as Ford and Jaguar. 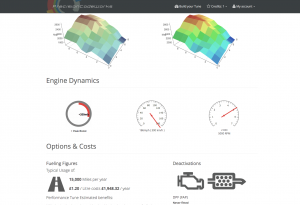 Having widest range of protocols meant that this tool, in particular the slave version being the number 1 choice for vehicle remapping franchises to build networks with. Putting the slave tool aside as this has no function to a professional chip tuner, lets look at the master version. 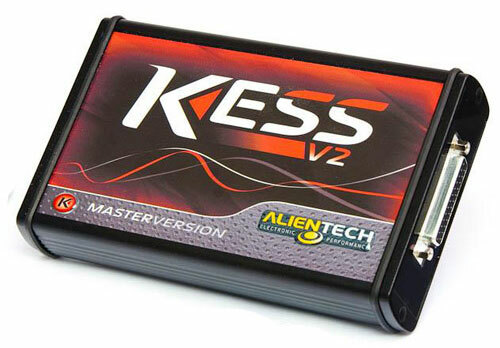 So apart from having the widest range of vehicles what else does the Kess V2 have going for it. 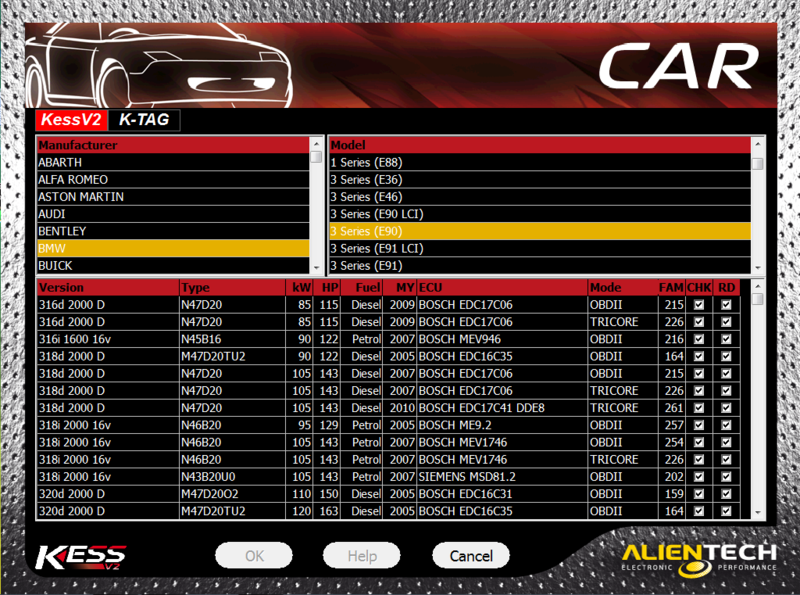 For a start the GUI is very user friendly, this would be an advantage for novice users as all vehicles are set out individually with models and engines all separated so the user can easily identify the correct vehicle. 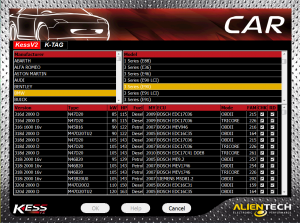 It also has a very broad help section, so every time you select a vehicle, the tool will automatically give information on correct cables to use or how to read the vehicle, again very user friendly. There is on the master version a file back up folder where original files for some ID only vehicles can be stored, this enables the user to have an original file to hand instead of having to bootload the ECU or search for an original file. Another plus for the Kess V2 is that it comes standard with a bootloader function for flashing some ECUs on the bench such as Bosch me7.x.x and Visteon DCU102 where a read function is unavailable. The tool has industry standard features such as a battery real time monitor, a recovery function, scan tool function to clear down DTC’s and automatic checksum correction where available. 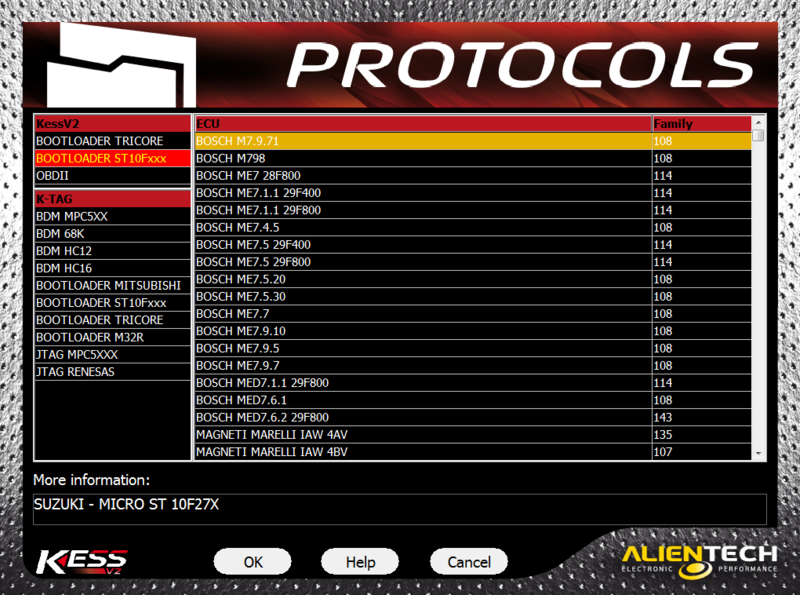 On some ECUs a flash counter reset is also available. Overall the Kess V2 is quite a stable tool 90% of the time. However, lets take a look at the negatives. It does on occasion struggle with some protocols and with perseverance it usually manages the job. Another downside to the Kess is it’s data transfer rate when reading out some vehicles. Some ECUs have been known to take up to 3 hours to read out. Even some basic Bosch EDC16 on Kline have taken up to an hour to read out. This becomes more of a hindrance for busy tuning shops and mobile tuners as standing around for hours isn’t making money. I would score the Kess a 7/10. 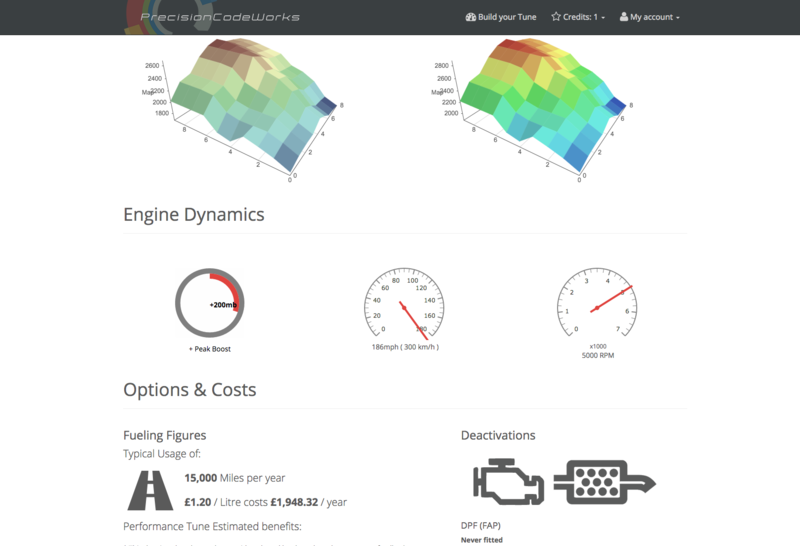 Positives for me would be the coverage of older vehicles, and the ease of use with its GUI for dummies platform. Negatives are long read times and instability with some controllers. 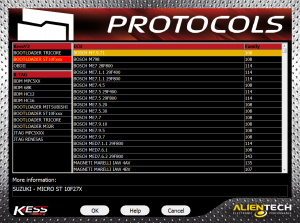 Alientech also seem to be the last to release new protocols. We have recently updated our pricing structure and so we wanted to explain how our pricing works and how you can take advantage. In order to get your ECU tuning files you will need to purchase credits from our platform. In general 1 credit will provide 1 ECU tuning file, however if the vehicle is regarded as a premium vehicle (e.g. Bugatti Veyron) then you may require more than 1 credit to tune the vehicle. But in general this is very rare and 99% of the tuning files on the PCW platform are 1 credit. Please note anyone can be a wholesale customer. 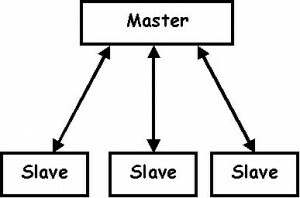 There is no requirement other than purchasing the large credit bundle in one transaction. Also please remember that all of the ECU tuning files we provide are custom made based on the original ECU file you upload to our unique platform. We would advise against re-using files for other engines other than the engine using the original ECU file you provided. If you have any questions or would like to pay via bank transfer then please get in touch at hello@precisioncode.works or you can give us a call on +44 (0) 800 612 2774.